The blue tarps that dotted the landscape from Carteret to Brunswick counties are disappearing, businesses are reopening, but as communities reliant on tourism prepare for the season ahead, they’re faced with the reality that the damage to local economies from Hurricane Florence is still unfolding. This year, as coastal counties and towns in North Carolina consider annual budgets, the damaged beaches, closed hotels and countless of yet-to-be repaired rental units are expected to drive down occupancy rates and, with them, the key source of funding for beach re-nourishment and coastal flooding repairs at a time of need. Last year, a running tally of the costs to repair beaches, clear inlets and fix berms and flood control infrastructure reached a staggering $352 million. State officials reviewing the costs said it would be difficult to get close to the amount needed without a mix of federal, state and local funding. They estimated the state’s share at close to $163 million. But determining the local match is difficult because the required cash outlays for towns vary according to the type of project and the source of funding. Those requirements and whether communities can meet them are now an even bigger question mark because for most communities affected by the storm, occupancy taxes are the main source of funds for beach re-nourishment and berm-replacement projects. Chris Gibson, co-founder of engineering firm TI Coastal, said communities along hard-hit Topsail Island are going to be squeezed by the need to protect homes and infrastructure and a reduction in the revenue used to pay for it. Some of the homes along the island will have a lower rental value because of damage to the beaches and some won’t be able to open this year at all, he said. Still, in towns like Surf City, where the destruction of a protective berm has put homes and infrastructure at risk, waiting until there is certainty of federal reimbursement isn’t an option. Surf City plans to truck in sand over the winter, mainly to protect infrastructure while it works on a long-term solution. Gibson said communities must be proactive or face the prospect of getting behind the curve and losing more properties and more of the tax base. With the destruction of Surf City’s main berm, about 90 percent of its front-row properties are exposed and out of compliance from setback requirements that could prevent them from being rebuilt if damaged in a storm. Losing those houses would have an impact well beyond the coast, he said. “If you look at Pender County, 70 percent of the tax base is east of U.S. 17,” Gibson said. Gibson said he believes the legislature could provide some assistance as it works out funding for a statewide storm damage mitigation fund set up during the last session. During a recent legislative review of how the hurricane season affected the tourism economy, Whit Tuttle, vice president for tourism at the Economic Development Partnership of North Carolina, said the loss of lodging inventory was a top concern. Tuttle said that a recent survey showed that the inventory of commercial lodgings in the state’s southeastern region dropped 11.5 percent from September to November. 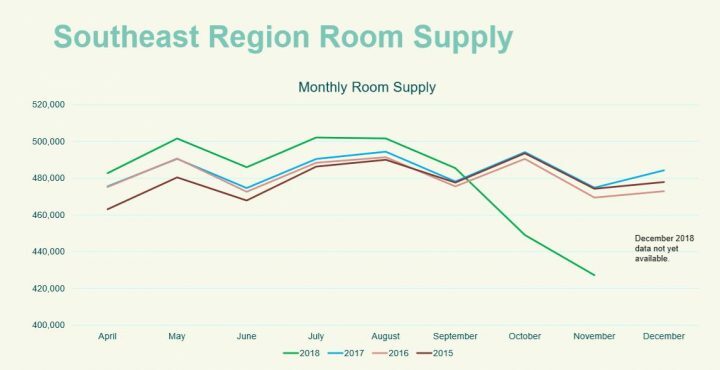 Commercial lodging data from the Economic Development Partnership of North Carolina show the decline in room supply in the southeast region. Harder to measure, but probably more behind the curve is the area’s growing rental home inventory. Tuttle said many rental owners are dealing with a labor shortage and can’t make repairs. It’s been tougher for them to hire contractors because they’re competing with larger, commercial operations, he said. “The rental industry is going to be hit harder than the commercial lodging industry,” he said. Committee member Rep. Pat McElraft, R-Carteret, said she’s concerned about the number of rental houses still waiting for repair work to start. “I don’t know if they’re going to be ready,” she said. In a response Thursday, McElraft said the legislature could provide additional money for beach repairs as well as help with advertising, expenses local governments typically pay for in part through occupancy tax revenues. “I am hoping to get some money put into the Coastal Storm Mitigation Fund to help beach towns rebuild the public trust beaches, the economic engine for coastal areas and for the state,” she said. 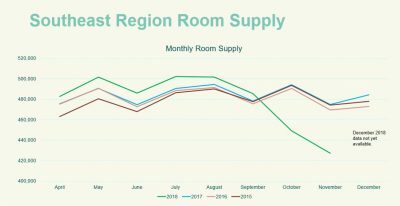 For now, the long-term effect on occupancy tax revenues is difficult to determine, in part because the storm recovery efforts have boosted off-season occupancy rates. “A lot of that business that they’re seeing now is with recovery workers,” Tuttle said, adding that it’s important to remember that if the workers stay longer than 90 days, their accommodations no longer have to collect occupancy taxes. Jim Browder, executive director of the Carteret County Tourism Development Authority, said officials had expected to lose a bigger share of occupancy tax collections because of the storm. At least a third of the county’s hotels remain closed for repairs, but the arrival of construction workers, insurance adjusters and others here as a result of Hurricane Florence, just as the tourism season had wound to a close, provided some balance. The county charges a 6 percent tax on hotel and motel rooms and cottage and condo rentals. The revenue is split to cover tourism marketing and beach re-nourishment expenses. 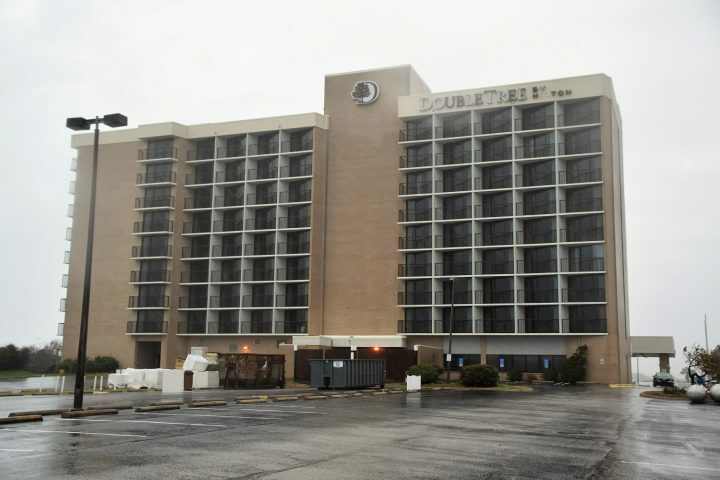 Hotels only represent about 15 percent of the total rooms available in Carteret County, which Browder described as unusual for the North Carolina coast. Cottages, condominiums and other rentals provide the remainder of the rooms available for vacationers and their status isn’t as clear as that of the dormant 200-room DoubleTree hotel on the oceanfront in Atlantic Beach, where like the Inn at Pine Knoll Shores and the Bask Hotel, the Quality Inn and the Holiday Inn Express, all in Morehead City, storm repairs continue. “The good news is that wonderful new products will be coming online, but we’re not sure exactly sure when,” Browder said, adding that the outlook for cottages and condos is much less clear. “That’s the hard part in trying to determine how big an impact it is: We really don’t have a grasp on when everybody’s going to be back online,” he said. Atlantic Beach Mayor Trace Cooper said that while he expected a drop in revenues, ample funds had built up over past cycles to allow moving ahead with re-nourishment projects. For now, he said, it’s hard to judge what the impact will be countywide. In a normal year, occupancy tax revenues would grow by about 3 percent, but this year the expectation for now is for no increase. Some of that is attributed to high off-season occupancy because of both recovery workers and people unable to return home in temporary housing. The real test will come during tourism season, he said. “It’s not hard to move the needle in November,” he said. Once May and June numbers come in, he said, the picture will be much clearer. 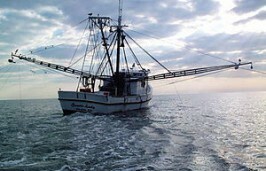 Farther south, New Hanover County is also seeing stable occupancy rates. Kate Murphy, spokesperson for New Hanover County, said occupancy taxes are consistent and growing in all areas and municipalities except Wrightsville Beach, where Florence made landfall, and where the closure of the 150-room Blockade Runner has had a pronounced effect. 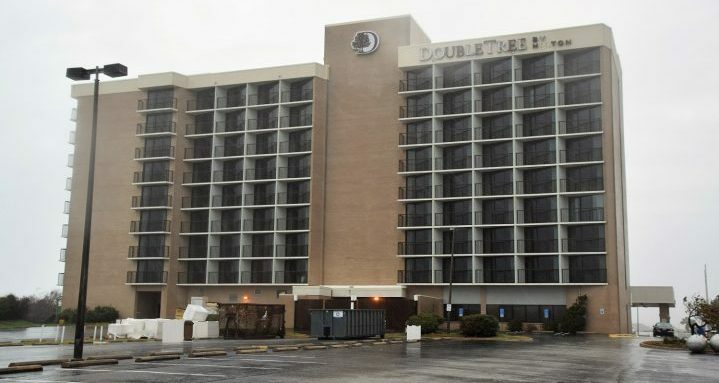 The hotel’s owners recently announced that part of the hotel is to reopen in February and a second section later this spring. 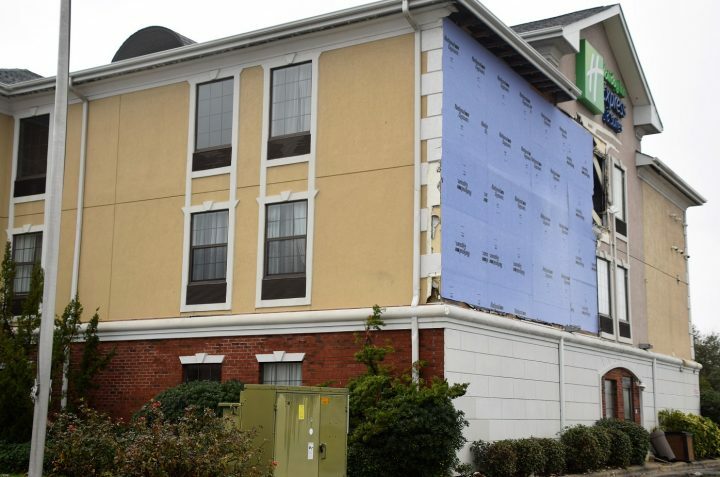 Damage was extensive at the hotel, and repairs were required in nearly every room, according to the announcement. Coastal Review Online Editor Mark Hibbs contributed to this report.